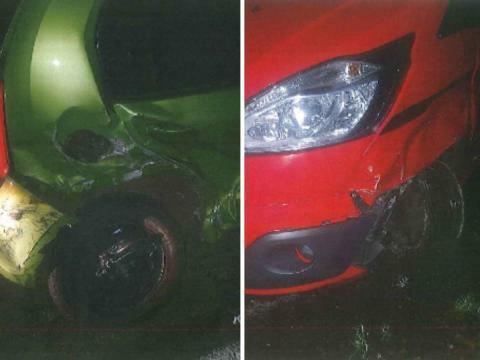 A drink-driver who caused this Christmas Day crash was found pretending to be asleep nearby. The collision involved a green Skoda Citigo, which was struck from behind on the A24 close to Buck Barn services, Horsham. Police were called to the incident about 12.30am on 25 December and located a red Ford Transit van parked up in a layby some 600m away. 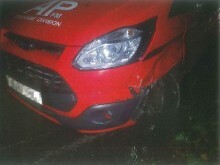 It had damage to the front nearside which was consistent with being in collision with the rear offside of the Skoda. 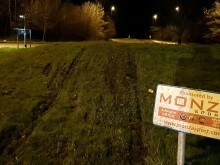 The sole occupant of the van was identified as Steven Stewart, a drain cleaner, of Kingsmead Place, Broadbridge Heath. He was found lying across the front seats of the vehicle and pretending to be asleep. When asked how he got there, he claimed he parked up five hours previously. However, the engine and the tyres were warm, suggesting the vehicle had been driven very recently. The 26-year-old failed a roadside breath test and on his way to custody he eventually admitted to having had “loads to drink”. 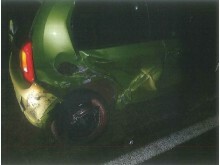 Stewart was subsequently arrested and charged with driving with 76mcg of alcohol per 100ml of breath, and failing to stop after being involved in a road traffic collision. At Worthing Magistrates’ Court on 20 February, he was disqualified from driving for 20 months and sentenced to a 12-month community order, requiring him to carry out 200 hours of unpaid work. He was also ordered to pay £331.55 compensation, £200 costs and a £85 victim surcharge. 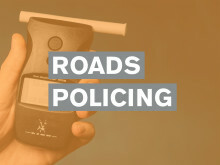 Stewart was among 240 motorists arrested in Sussex as part of Surrey and Sussex Police’s Christmas crackdown on drink and drug-drivers, which ran from 1 December 2018 to 1 January 2019. Krzysztof Wojcieszak, 38, unemployed, of Royal George Road, Burgess Hill, was arrested in Gander Hill, Haywards Heath, on 4 December and charged with failing to provide a specimen of breath for analysis when suspected of having driven a vehicle. At Brighton Magistrates’ Court on 6 February, he was disqualified from driving for 18 months and sentenced to a 12-month community order, requiring him to carry out 60 hours of unpaid work. He was also ordered to pay £85 costs and a £85 victim surcharge. 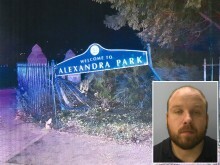 Billy-Joe Hatton, 27, unemployed, of Southdown Avenue, Hastings, was arrested in Quantock Gardens, Hastings, on 10 December, and charged with driving with 65mcg of alcohol per 100ml of breath in his system, driving with no insurance and riding a motorcycle without wearing protective headgear. At Hastings Magistrates’ Court on 18 February, he was disqualified from driving for 17 months. He was also ordered to pay a £280 fine, £85 costs and a £30 victim surcharge. Emily Gillam, 24, a property manager, of Summerlands Road, Eastbourne, was arrested on the A28 at Westfield on 13 December and charged with driving with 78mcg of alcohol per 100ml of breath in her system. At Hastings Magistrates’ Court on 20 February, she was disqualified from driving for 17 months. She was also ordered to pay a £570 fine, £85 costs and a £57 victim surcharge. Emma Preston, 53, a company director, of Fern Close, Frant, was arrested in Groombridge Lane, Tunbridge Wells, on 19 December and charged with failing to provide a specimen of breath when suspected of having driven a vehicle. At Hastings Magistrates’ Court on 30 January, she was disqualified from driving for 12 months. She was also ordered to pay a £160 fine, £85 costs and a £30 victim surcharge. 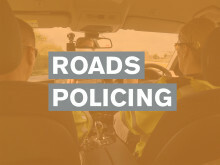 Sorin Dragan, 49, a cleaner, of Terry Road, Crawley, was arrested in Redkiln Way, Horsham, on 21 December, and charged with driving with 110mcg of alcohol per 100ml of breath in his system, driving with no insurance and failing to surrender to custody. 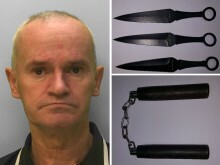 At Brighton Magistrates’ Court on 16 February, he was disqualified from driving for 26 months and sentenced to a 12-month community order. He was also ordered to pay a £860 fine and £85 costs. It/they is/are provided for the explicit purpose of journalistic coverage and commentary, in the public interest, in relation to the featured event.